I’ve been wondering why so many teams believe that Scrum Master is here to draw burndown charts, prepare reports and be the only point of contact for the team, whenever anyone wants anything from them. They maintain the board, write cards, and prepare all you can imagine. And the team works ok, but surprisingly they are not at all self-organized. Such Scrum Master role is quite boring. But that’s not what was intended by the role of Scrum Master. I guess the reasons for that are coming from two different motives. 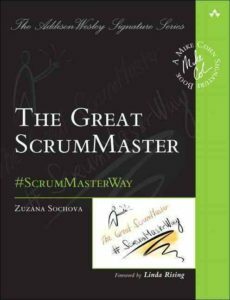 Firstly, Scrum Masters are often missing the real experience with Scrum, teamwork and self-organization. They are in a new role and want to succeed in it. They biggest fear is they would not be useful to the team, and team would not appreciate their work. So they try to do their best to make their work visible for everyone. Be helpful. The biggest Scrum Master’s trap is to be locked in the position of caring mummy who is scared to let her grown up kids go their way. But in such case you will never get real Scrum team. The other reason comes from one of the Scrum Master responsibilities – to remove impediments. 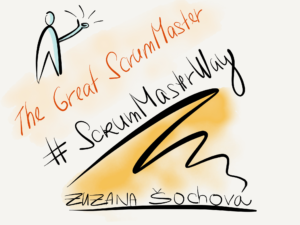 It’s the only responsibility which seems to be easy to do for starting Scrum Masters. Seems to be. Unfortunately, that often comes with huge misunderstanding. The goal of the Scrum Master is to build self-organized team which in the ideal theoretical world means “do nothing”. In other words, Scrum Master is here to help a team to find solutions to their problems, not to solve problems oneself. Nonetheless, most of the beginning Scrum Masters are eager to help, happy to do any work needed if it helps their team. And they don’t see that by doing it they are destroying the team. 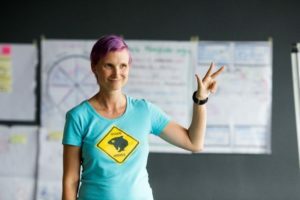 Previous Previous post: Is Product Owner part of the team?